Alongside the University of Kent Employability Points Scheme and Kent Union, Kent Business School were successful at a recent ‘Advisors of the Round Table’ event organised by Enterprise Rent-a-Car. The awards ceremony recognised the most successful Higher Education partnerships that Enterprise Rent-a-Car have developed in the past academic year. 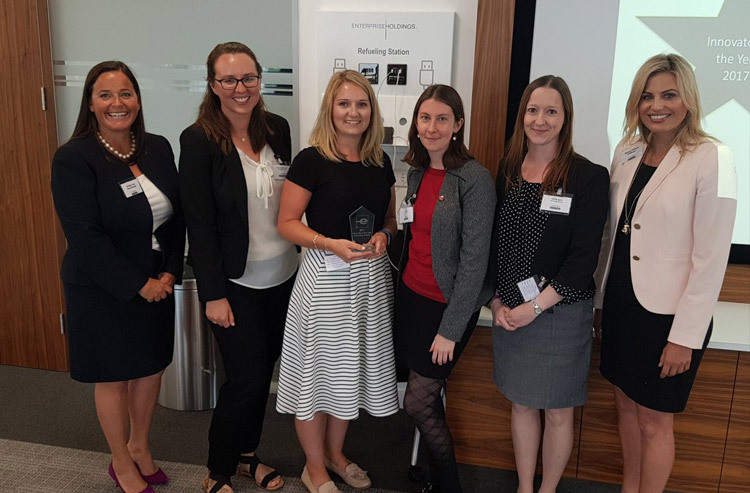 The event was a fantastic opportunity for the employer’s universities in London and the South East to catch up on the achievements of the year and plan for the new academic year ahead. University of Kent was awarded Best in Class for the highest number of 2016-2017 applications (210) and highest number of hires (18) across all London and South East universities. This was followed up with the University winning Business Partner of the Year for its consistent high hiring numbers, overall willingness and openness to new ideas and creativity on campus and a strong mutually beneficial relationship. Enterprise also gave special mention to the strong relationship between Kent Business School and this year’s Campus Brand Manager, final year student Annie Gifford, who was a top performer in her role. 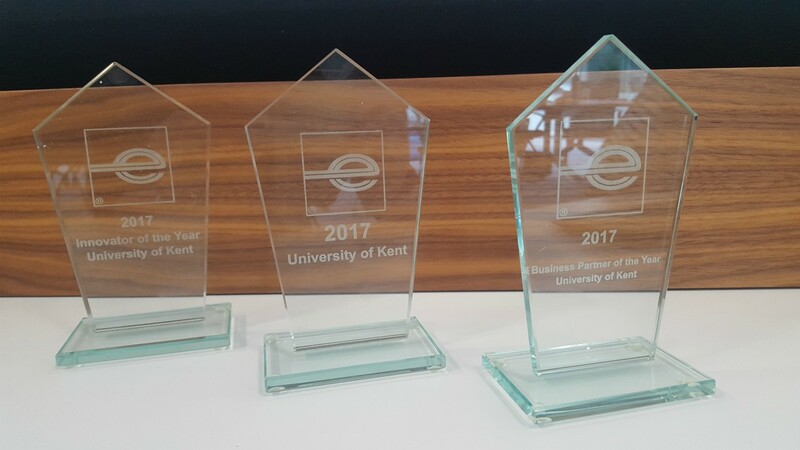 New and developed links on campus with the Employability Points Scheme and Kent Union were also recognised with the University of Kent awarded Innovator of the Year. Building on their excellent relationship with Kent Business School and the University of Kent Careers and Employability Service, Enterprise have developed their connections across campus to the Employability Points Scheme and Kent Union, offering internships as Employability Points Scheme prizes, sponsoring the Employability Points Scheme Awards, and collaborating on a ground breaking partnership with the University of Kent’s sports teams through Kent Union. This year Enterprise have spent 40 hours on campus working with students delivering skills workshops, on-campus interviews and attending recruitment fairs. Congratulations to all who contributed to this achievement. Find out more about careers support at Kent Business School.